Aizawl, Sep 25 : The Young Mizo Association, a community-based organisation, has demanded that only Indian citizens be included in the electoral rolls of the state. Following a meeting yesterday, the central body of the organisation has instructed all its branchesin the state to be actively involved in all the hearings during the summary revision of the electoral rolls, which will begin soon. The leaders of the organisation today said they were ready to go to any lengths to prevent the demographic nightmare that is plaguing the neighbouring states — Assam, Tripura and Meghalaya. 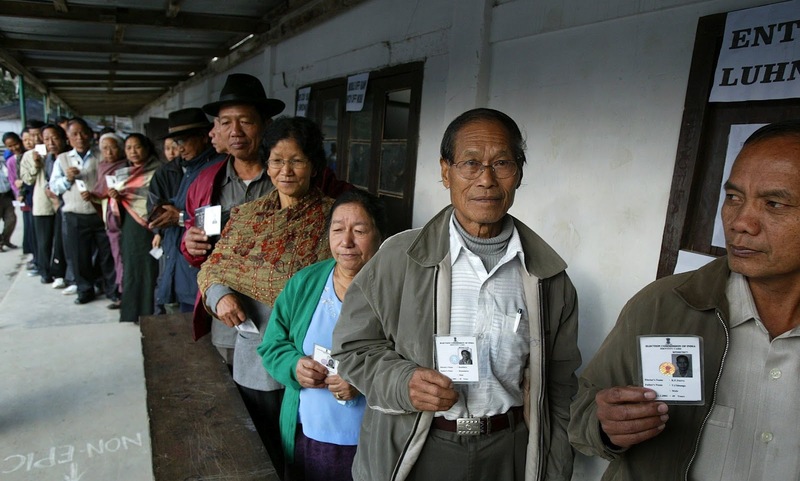 The leaders of the organisation feel that a large number of foreigners living in the state have been enrolled under the protection of state politicians, who are looking for vote banks. The general secretary of the organisation, Vanlalruata, said the organisation would take steps to prevent inclusion of foreigners in the ongoing summary revision of the voter list. “We instructed the branches to make objections if they suspect that a foreigner is being enrolled or if they find names of suspected foreigners in the lists,” Vanlalruata said. Mizoram has several villages which have been set up by foreigners and peopled by them. These villages of illegal migrants have sprung up under the eye of the state authorities in the border areas and also in the suburbs of the capital, sources said. Such villages were given village councils and the leadership of the village councils. Some of the branches of the organisation were taken over by the migrants resulting in the large scale enrollment of foreigners in the voter list. Mizoram shares a 404km porous border with Myanmar and a 318km border with Bangladesh.